This feels like it might be a feel-good Friday, and what better way to celebrate than with a giveaway!? I consider myself to be something of a creative sponge (for want of a better term) when it comes to interior design and architecture, rather, I tend to soak it all up in a frenzy of inspiration. It's one thing to merely spot a piece of incredible design, but so much more enlightening to discover the story behind it, don't you think? 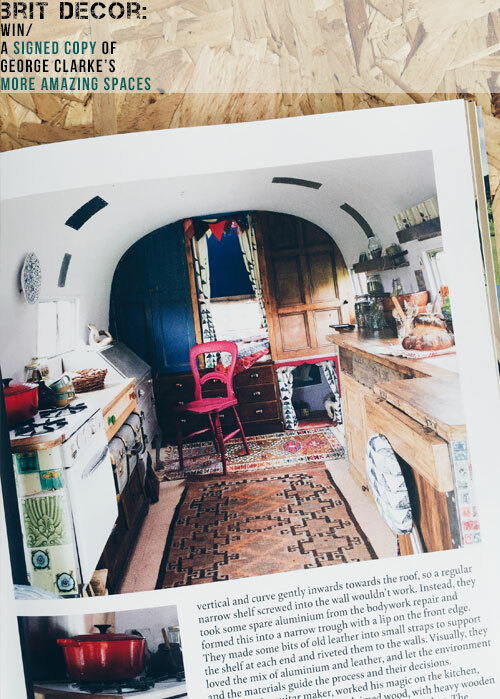 George Clarke (may I call you 'George'?) 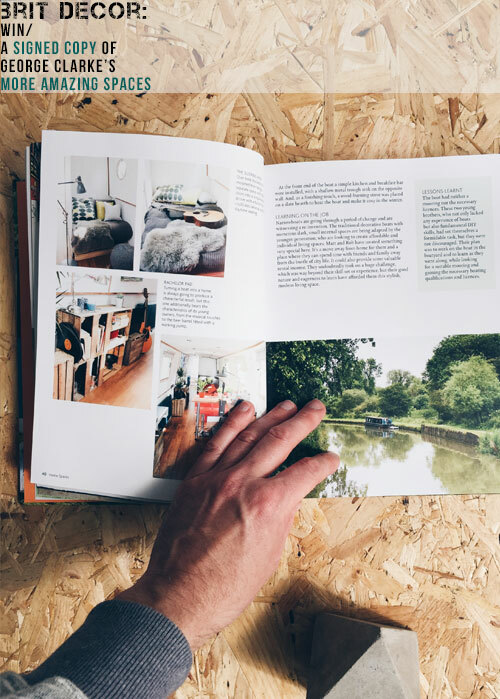 brings us oodles of design inspiration in his latest book More Amazing Spaces, based on the highly addictive Channel 4 series. 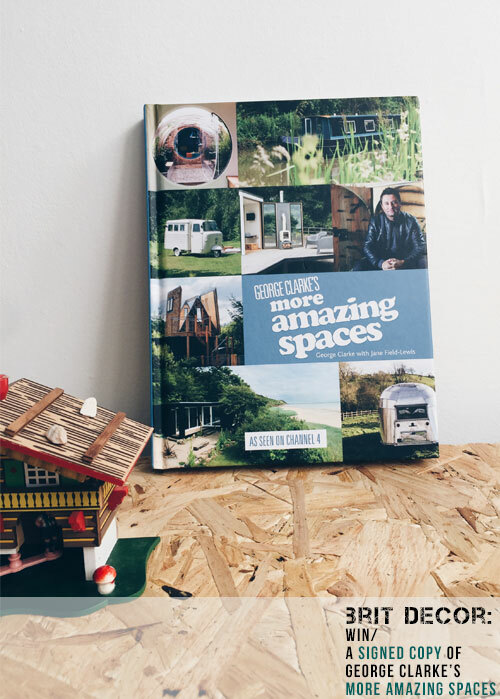 This treasure trove of small space ideas includes detailed insights into a fascinating selection of design/build projects, including a total re-fit of a fire damaged narrowboat, a classic Airstream now converted into a quirky family home, and George's own tree house project, to name but a few 'thinking outside of the box' moments featured in this must-have book. 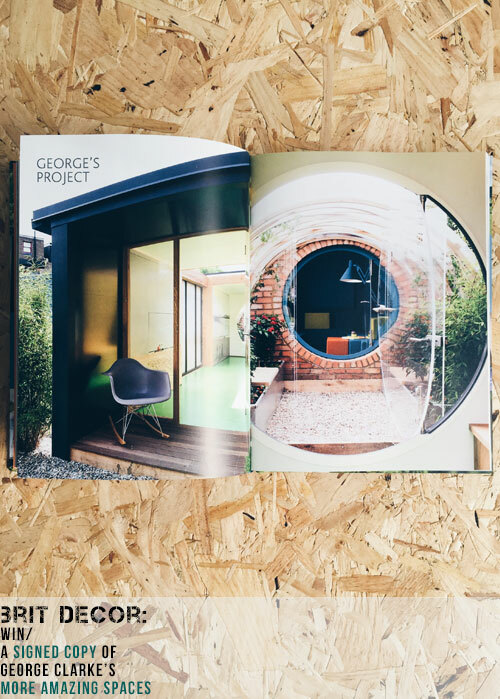 Design and build projects are rarely straightforward, hence books like this one, but the rewards that can come with the successful completion of a new living space, tend to be worth every struggle endured along the way. 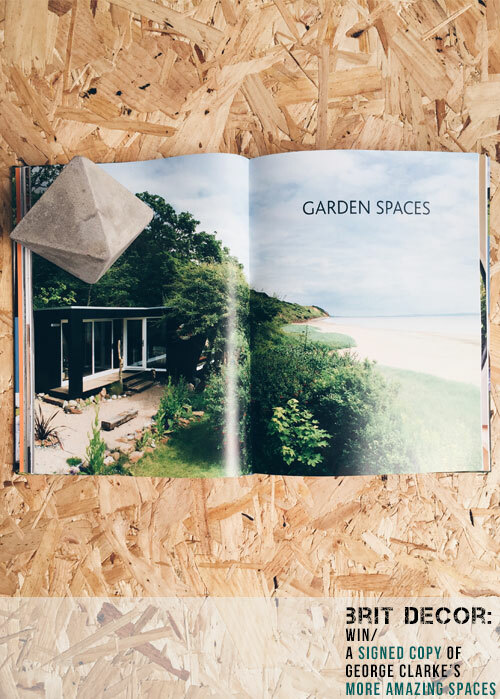 This book offers the perfect insight into the entire process of creating a dream space, however small or challenging the brief, budget or build might be. Inspired - hell yes! Closing date: Midnight, Friday 11th September 2015. One entry per email address. The winner will be randomly selected by Rafflecopter after the closing date on Friday 11th September. The lucky winner will be notified ASAP via email. Open to UK residents only.